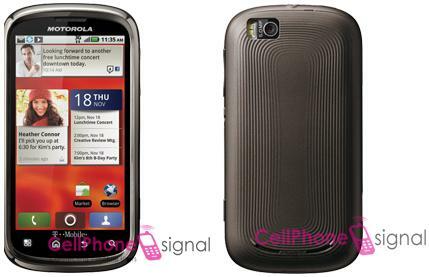 Back in September we heard on Motorola gearing up for the release of a successor to it’s Moto Cliq. Seems like things are going on the right track with CellPhonSignal unveiling exclusive images of the upcoming Motorola Cliq 2, or as most of them quote it as, the ‘Begonia’. The leaked images does make one appeal for the handset, seen with a wide screen and QWERTY keyboard. Hopefully, the device would be showcased on the upcoming Consumer Electronics Show (CES) to be held in Las Vegas. A quick look at the Motorola Cliq 2 would hold you back with your eyes rolling on the keyboard. 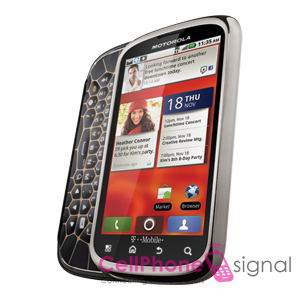 The keyboard is somewhat unusual compared to other handsets available in the market while resembling a ‘Honeycomb’. We have no idea whether the device would be powered by the Froyo 2.2, the Gingerbread 2.3, or even a later version. It is being rumored that the device would be road mapped on January 19th, 2011 exclusively on T-Mobile.